Dad. 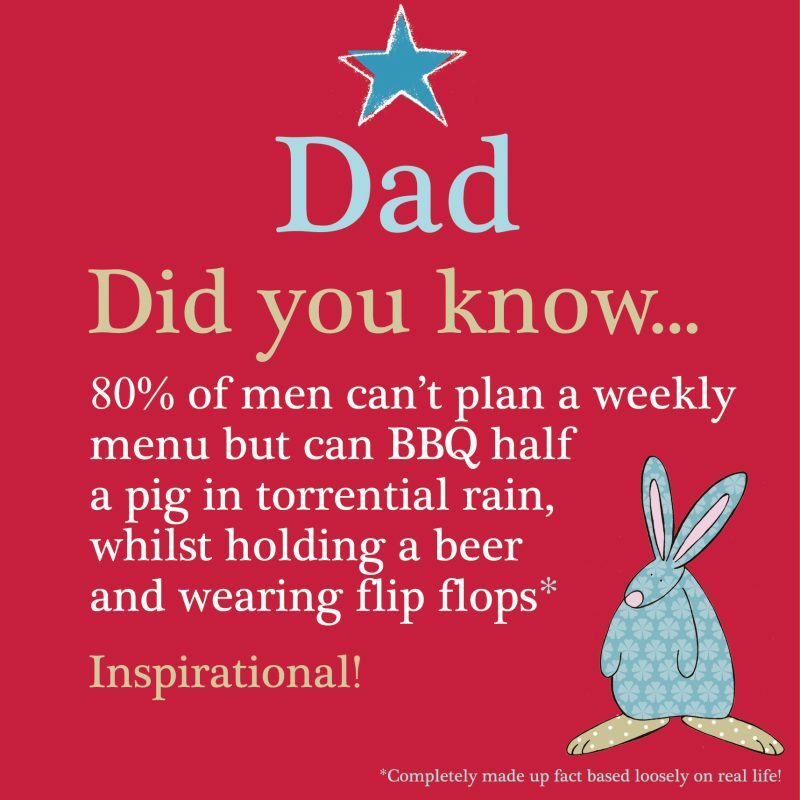 Did you know… 80% of men can’t plan a weekly menu but can BBQ half a pig in torrential rain, whilst holding a beer and wearing flip flops. Inspirational!